It’s the season of giving, and we can’t think of a better time to to say “Thank you!” to our loyal WeAllSew readers for having sewn along with us all year long. Join us as we kick-off our Holiday Countdown today at WeAllSew! As part of our Holiday Countdown, we’ll be featuring all kinds of inspirational Holiday project tutorials (from home dec to festive wardrobe items, gift ideas and helpful sewing tips) each day through December 25. And the very best part is each and every post includes a fun give-away for one lucky reader! Our gifts to you will include autographed books by sewlebrities and quilters, colorful fabrics by coveted fabric designers, sewing notions, free embroidery and appliqué design downloads, embroidery design collection CD’s, fun BERNINA swag and even one BERNINA 215 Simply Red sewing machine. You’ll definitely want to check back with us here on WeAllSew often to find out which prize will be offered each and every day! A BERNINA Weekender bag waiting to be filled with sewing projects when sewing with a friend, or just for toting your stuff to the gym. One lucky winner will be selected at random on December 2, 2016 and announced next week. Good luck! The contest is open for comments until December 1 at 12:00 midnight Central Time. Sweepstakes Rules: Open to residents of the 50 United States and the District of Columbia. Only one comment per fan please. Comment must be submitted to the WeAllSew.com blog by the date and time mentioned in the giveaway blog post. Winner will be chosen randomly. Winner will be announced about one week after contest ends, and will have 48 hours to respond in order to claim the prize. Congratulations to our WeAllSew reader “tomye”, the winner of the December 1 gift. Enjoy! Traveling to see Granddaughters for the holiday…delivering a new Bernina to the girls! Excited! Traveling no but enjoying home the sewing machine time. I am traveling about 40 miles to see all the grandchildren. Also trying to make a Christmas apron for the 6 year old grandaughter because she has out grown the first apron I made for her. I have enough scraps to make her one that will match her Mother’s apron and baby sister’s apron(the one she can no longer wear). No, we are awaiting the birth of our granddaughter. Will travel in January to see her. Yes, I’m driving from Montana to Southern California with my trusty B635 so I can sew during the holidays. Poor B790 must stay home! The Bernina 215 is perfect for my step-daughter who just relocated and is a full-time grad student in an apartment. Perfect for everything from those essential home dec projects in a new place to quick repairs. Excellent and essential! Plus it is her favorite color!! I look forward to “not” traveling during the holidays! I love staying at home and sewing, baking and just enjoying the season in my own home. I will be traveling very close by to my parents house in Mt. Joy, PA.
No travel for me. The family all meet at my home ? This year we’re staying home. We’ve been away the last three and I miss my ornaments! Just staying local and taking time off work to sew! Oh, what a beautiful bag. No travel plans for me, during the holidays. But I want to wish a safe journey to everyone that does need to travel during the holidays. I’m staying home and cooking for the family after I usher at Church. We’re hosting again this year. Family comes and goes throughout the season. We are blessed. I’ll be staying home for Christmas…but have family traveling to be here with us. We will be traveling, but only day trips, nothing more than an hour away. We will be staying home for Christmas this year, since I just moved back to my home town. Now all 5 sisters are together and we will enjoy cooking, laughing, eating and sewing! We never travel on the holiday—our family is close by. We have scheduled some early travel, before the holiday. I could use a colorful weekender bag! No, I won’t be traveling for the holidays. Like to be at home (near my 830) so I can finish up last minute projects. Yes we are travelling for the holidays, taking my laptop to practice V8 software. No travel. Love to hunker down with the kids and spend some quality family time at home while they are on winter break. We will not be traveling this year. Our family is now all within 90 minutes and will be coming to our place. What a beautiful bag. My plans for traveling this holiday season involve a trip to my sewing room — for what will hopefully be a long, enjoyable and productive journey!! The rest of the time…family!! We stay home for the holidays. No, we will be staying home. Some of the kids may be coming. Hope we have snow by Christmas! We will not be traveling for Christmas, unless you count going to the neighbors for Christmas! I’ll be making a short trip of about 1 hour and 15 minutes to my daughters for Christmas. We are staying home for Christmas and celebrating with son, daughter-in-law, grandson and friends. We are leaving the day after Christmas for sunny California to visit with extended family. The best of both worlds. No, I’m not traveling, but instead flying my son home! Yeah! We will be travelling to Dawson, GA to spend Christmas with family. I’m not traveling Christmas day. Two of my children are heading home. We will visit relatives in NY the week before. Yes, I will be visiting my son. We will be traveling to visit our kids and grandkids. WHAT fun! No we are not traveling for the holidays. We will be at home in Virginia celebrating with our family here! Just 35 miles to my brother’s house! Unfortunately we are not traveling for the holidays. I will miss seeing my family this year but sometimes things just don’t work out. Yes. I’ll be packing my sewing stuff to continue teaching my granddaughter how to sew. What fun. We will be home for the holidays celebrating with family and friends! Nice bag for going to class or retreat. After retiring and returning home to California, I no longer have to travel over the holidays to visit family. I’m so blessed they are all right here now! That lovely Bernina red bag would be a lovely accompaniment on quilting retreats! I can imagine it filled with all kinds of quilting goodies for a sewing filled weekend. I hope I’m the lucky winner!! I live in an rv so we travel fulltime. We will just be on the road with no place special for holidays. I see on the road but could use a project bag. Not travelling this year! But last year we did and got caught in the blizzard in west TX. No travel. Home is where the heart is…. Just a short trip of about 80 miles for Christmas Day. No, we are not expecting to travel over the holidays, but one never knows, when families live so far apart. Merry Christmas to you and your staff and for sharing so many wonderful ideas for sewing! I always try to stay home during the holidays. However, traveling any other time of the year is wonderful! The Bernina travel bag would certainly be a wonderful addition to my luggage. Yes, we are traveling and I would love this bag to hold my stuff. We’re going to Mom’s for Christmas for the first time in 37 years of marriage. We are in PA and they are in FL. I’ll be home for Christmas and running! The bag would be great for running gear! I’ll be home for Christmas with my daughter and grandchildren here. After having knee replacement surgery the beginning of the month, it will be a good time to do some hand sewing. No traveling but that bag is gorgeous! content and celebrating with family on Christmas eve and day. Nice tote to transport gifts! We just returned from spending Thanksgiving with family, so our holiday travels are over. No travel planned. Enjoying the holidays at home. I will not be traveling, but I plan on doing lots of sewing. Traveling locally to visit friends and family. The travel bag would be great for carrying the gifts made on my new 790. No traveling, the family is coming to our home. Staying at home in a new to us house! We most likely will be staying home. Kids all have their own traditions and we just do our own thing. I will sew and hubby will do something in workshop. No travels in December. Waiting until after the holiday season! we’re hosting this year; everyone is coming to us for our celebration. Traveling to Pennsylvania to see family and friends. We’re not traveling, but we’re flying our daughter in for a week. I’m very excited and hope we can get some sewing done together between the festive activities. Not traveling any further than my sewing room. traveling to my sister’s–hoping to compare Bernina machines and experiences using them! Delivering a Bernina-made crib quilt to my great-niece and a quilted tote to her mother to eastern PA.
Not traveling any distance this Christmas, but will be visiting locally with our kids, grandkids, and great grandkids. Staying home and embroidering some linen napkins with monograms and some with holiday greetings on my wonderful Bernina 790. Staying at home and relaxing with DH! Traveling from South Dakota to our home state of Pennsylvania to spend Christmas with family and friends. Brought my trusty Bernina B780 with me as I spent a month on the South Carolina shore and had lots of time to make Christmas gifts. traveling locally to enjoy the holiday festivities and family gatherings. We are traveling for Christmas this year. To two different places. We’re traveling 2 hours….not bad! We are staying home but always have family visiting. Christmas is spent at home and we travel up our hill to spend time with neighbors! We will stay home for Christmas but possibly go to our cabin for the New Year! Not traveling this year but staying home and making lots of gifts on my 790! Travelling to our children’s homes for Christmas. We are gratefully not traveling..staying home and cooking, decorating, and doing the entertaining! Staying home. I’m lucky it have most of my family here close by. This is our year to stay at home. We will enjoy the company of our entire family. Busy working of Christmas Jammie’s for the five grandkids. Not traveling this year, but we will be welcoming traveling family members to our home! I will be home for the holidays as Christmas is at my house this year. Lots of decorating, and sewing, fun getting ready! I am staying home and enjoying my family. Staying local busy making quilts and will visit my daughters and their families for the holiday. Not traveling so I’ll have more time to sew!!! Staying at home. But sewing up a storm from now to Christmas Eve. We are not traveling for the holiday, but I will be going to my first quilt retreat soon after. Wouldn’t I look spiffy with that new bag!!! We will be staying home for Christmas this year. I get to stay home, family is all coming here! Nope. There’s no place like home for the holidays! If I travel it will only be local. I’m planning to sew and try out some features on my machine that I haven’t tried yet. I will be staying home this year, but the family is coming to us. May be traveling to Fort Sill, OK to pick up grandson from Army base for Christmas Holidays. Praying! I will be traveling to FL for Christmas to see my son. We are staying local for the holidays. No, I’m staying home sewing! Will I be traveling for Christmas? No – this is our year to stay home. 22 family members will be coming to our home this year. Every bed, couch and soft chair will be used for sleeping by adults. The kids will all sleep in sleeping bags on the floor in our downstairs family room. Should be hectic but super fun!!!! Not traveling very far. Probably at the most 40 miles, but over the bay bridge so it seems like a long way. 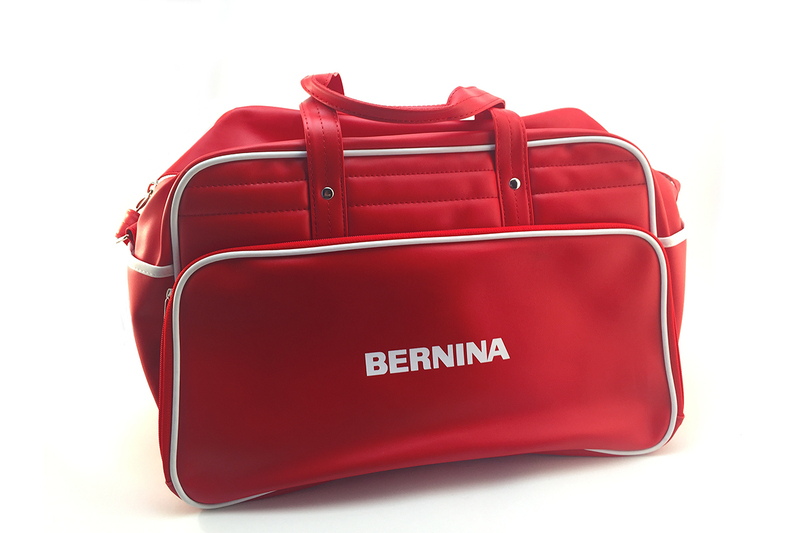 Wow, love the bag…anything Bernina! What am I doing this Christmas? Good question. Staying home…eating dinner with my good friend and her guest. Hopefully we will have some beautiful snow to enjoy looking at through the windows. We travel to NY where all of our relatives are. This would make a great carry on. Going to my 90-year-old Mom’s who is still the best cook around, winning ribbons at the Iowa State Fair last summer for baking. Traveling to see the little grand people (and their parents). I would love to travel to the mountians for an old fashioned Christmas, but alas the family is spread all over and there will be no traveling for us. Wish I was traveling home to visit my parents after a death in the family. It’s a tough holiday season for us. We’re still undecided about where we will be for Christmas this year. Home sounds good to me. We are traveling from Atlanta through Florida on to Houston, Tx. for the holidays… We will celebrate the New Year in New Orleans then travel back home. Only traveling to work-am a RN-but give myself quilting time on my Bernina before I leave! Not traveling this year but have travelers coming to us. I get to show off my Bernina sewn Christmas decorations. We are not traveling but our family will travel to us! Traveling to pick up family to bring home for the holidays! All of my family is coming to my house. We plan on making Holiday pillowcases for everyone. Depends on the weather, lol. Maybe, maybe not! Would love to travel with little red! My traveling will be to evening Mass and then my kids and grandkids will be at my house for the evening. My favorite tree ornament is the first pair of shoes from my grandchildren, I write their name on the sole along with the date, I hang them on the Christmas tree.These tiny shoes always remind me of the Pitter_patter of the sweet children Christmas morning when they first see the presents around the tree. I have ten grandchildren now so the soles abound around our tree. Traveling quite a bit, but looking forward to it! We are traveling from Wisconsin to Texas to spend Christmas with family . My 880 goes with me. I plan on traveling to San Luis Obispo to visit Picking Daisies, my favorite fabric store. I’m staying home sewing on my Bernina. I’m going to buy the 530 to sew all the little squares together as soon as the 15th rolls around on the special. Will definitely be traveling during the holiday. Squeezing in time for sewing here and there! Depends on weather. Otherwise heading to Sault Ste. Marie!! A half hour trip on Christmas Day to be with family. Before that sewing and embroidering gifts on my Bernina 790. Love my Bernina. I plan to make Santa mug rugs for grandchildren and great nieces and nephews and machine embroidered Santa faces that hold a packet of chocolate milk and candy cane for my grandchildrens teachers with my Bernini 730 and my 25 year old workhorse, my Bernina 1130. Lots of fun? We’re staying home and I’m planning to sew Christmas ornaments on my 880. All the kids are travelling home this year. I have lots of sewing to do before they come home. Everyone gets an embroidered stocking and of course pajama pants for all! Home for Christmas, but traveling the day after to our son’s home. Best of both worlds really. Staying home, but all the chicks are coming home to roost, at least for a few days! We will be home, no traveling. I hope to have some sewing time. I plan to travel to see my in laws before Christmas & be home for Christmas. I have two small kids & believe we should be home for Christmas. Traveling to visit my daughters in California, and then to Florida to visit in-laws and attend a wedding! Travelling with my puppy to see my grandson’s! How much better can it be than Christmas with those I love and we love our Bernia Artistas! Sadly, there’s no travelling this year. I miss my family and really wish I could spend Christmas with them but I’ll just have to try next year. Mom is 90 and the feeling of time being of importance isn’t lost on me but I was able to be home for her birthday this year and it was joyous. I want to thank the staff at Bernina for getting me back on We All Sew!!!!!! I love each and every Bernina that I own and have made in the past several of the projects on We All Sew. 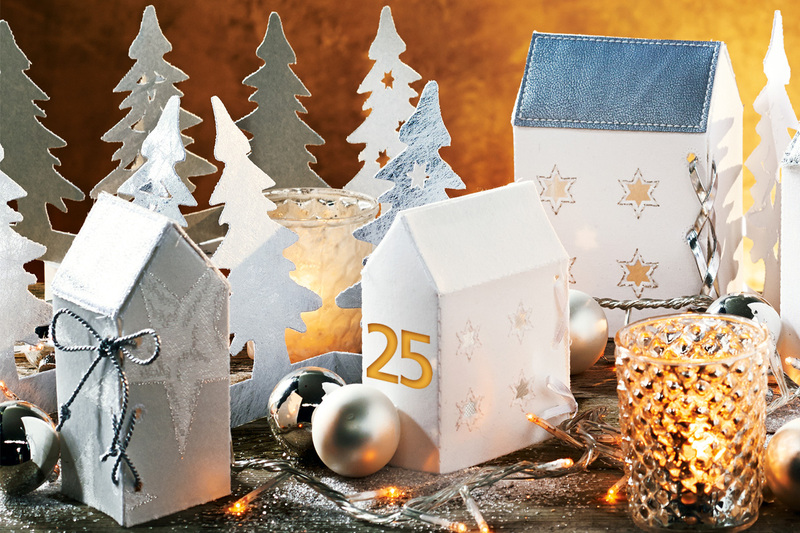 Thank you for the opportunity to enter your sweepstakes and a Very Merry Christmas to everyone at Bernina. I don’t have to travel anywhere. Everyone comes to our house for Christmas. Traveling? I wish I were! I get to host my husband’s family at our house. We always stay home and host our family and friends on Christmas Eve. We are not traveling this holiday season, but we are excited that our grandchildren are flying down in early January! Can’t wait! We are blessed to have our family traveling to our house. We’ll be staying home this holiday! But my biggest gift will be having my son (who is in the Army) home to spend the holidays with us. Just spending the holidays with family and friends, and doing lots of sewing and quilting! Happy Holidays! I’d be willing to carry this straight to my sewing room! On Christmas I am not traveling, but I am driving my cousins to the airport, as they are traveling to Paris! My travels are just 15 minutes away. I’m blessed to have a short trip. Hanging out at home with family…and my Bernina! Not traveling this year, family coming to our house. Not traveling, but welcoming my beautiful son and his wife home for Christmas. Feeling blessed! One of my first quilting projects was a wreath wall hanging or it can be used for a table topper. It was a lot of fun. We are staying at home, and I am on vacation between Christmas and New Years – hope to get a lot of sewing and knitting done! I am not traveling as my out-of-state daughters are coming to my home. We will be home for Christmas but visiting family afterwards. My husband and kids like to be at our own home for Christmas Eve and Day. 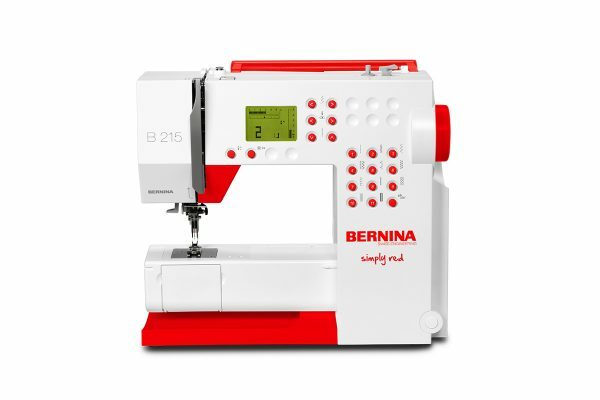 Will be dreaming of a new Bernina machine instead of traveling for the holidays. Couldn’t make all the wonderful Christmas gifts without my Bernina Sewing Machine. Wouldn’t sew,quilt or do embroidery without one. It makes the holiday gift giving less stressful. Thank you for the ideas and projects, they are always an inspiration and fun to do. Well I am staying home and we coming my 6 children and 6 grandchildren to my home… with homemade gifts for each. Traveling to Virginia to welcome our grandson into the world!! We are not traveling as all of our family is here and they will be coming to our house for Christmas. My 2 Bernia 830’s and I have been sewing up lots of gifts. No travel plans. Family is always at our house for Christmas. I am having such a great time preparing for Christmas sewing on my Bernina 830!! Not traveling this holiday. Just having fun at home with relatives. Only traveling to our community clubhouse to sew with my “Sassy Stitcher” friends! I make kitchen towels and mug rugs. Staying home, but that’s where most of our family is. More time to sew! Yes traveling to spent holiday with my parents, brother and his family. Staying home. Our children live overseas, so will spend the holidays with friends. My family comes to my house for Christmas dinner we always make something special that they probably don’t make at home. Then for New Years, my husband and I are meeting my sister and her husband for dinner in Denver. The best part is the fireworks from the downtown mall. We will be watching from the 27th floor and you get to look straight at the fireworks instead of up at the them. It’s fantastic!!! Love Love Love my Bernina, Love all he creative ideas and projects. My children and grandchildren will be coming to our house for Christmas breakfast (a family tradition), and then we will all “travel” to the home of one of our daughters (about 10 minutes away!) for Christmas dinner. No other travel involved! I’m staying home, probably sewing gifts until midnight Christmas Eve as usual. We are staying home for the holidays this year. It will be just my husband and I and we are planning to just relax. Will be staying home with daughters coming! No we are mostly all in Oklahoma so we always have Christmas at home! Merry Christmas to all! Not traveling for holidays. Have family close-by. We always visit our our aunt who cannot travel. Where we set up a small tree, decorate her room and have a Christmas party ! Afterwards I hurry to finish sewing last minute gifts !! Will be staying home sewing, baking, and enjoying the holiday season. I will not be traveling this holiday season. I will be cooking for the family members that live close by. No, we’re not traveling this Christmas, but wish we were! Going to Portland Maine to be with our son! Enjoying staying at home. Immediate family will get together at my house. Working on a new bed quilt that I have had the material for about 20 years! My husband and I usually went to Oklahoma to be with my mother for Christmas. We’ll stay home this year because my mother, who was 95, passed away November 28. No traveling for me this Christmas Season. Staying safely at home! No traveling it would take away sewing time. I don’t plan to travel as I live in a tropical paradise! Visiting relatives, looking for ideas what to sew for gifts. Our sons and family will gather at our home for Christmas Eve. Christmas day we will go about 5 miles away to our married son’s home to watch our little three year granddaughter open her gifts and have a brunch together. We are blessed to have both sons living nearby! Perfect for taking projects to quilt camp! No traveling this holiday season. Only traveling a little to a neighbors on Christmas Eve and have the luxury of spending the day at home with family. Family is traveling here–home, where we can all be together for a short while. know what is in there without opening them), and then–when we have a guest–in haul it out to the utility trailer and store it in there until the guest leaves. Merry Christmas, Everyone! Oh, I see that ya’ll were answering another question. Okay: Am I traveling for the Holidays? Hopefully I will not be traveling, but in one place, right next to my Bernina sewing machine and my Bernina surger! Zipppidddyyyyydooodaah, THAT is living large! I am staying home this year, not travelling at all. My sons live in TX, MD, and NH, so bad weather conditions prevent us from getting together. That gives me extra time to sew, whether it’s finishing projects for this year, or starting early for next year. This year has been an exceptionally enjoyable year of completing projects for Software Inspirations, DesignWorks Decoded, and All About Embroidery on my new 880. I’ll only be traveling across town to relatives’ houses, & perhaps just outside town for hiking. Yes going to Atlanta to visit my daughter and grand daughter. We are not traveling and will miss our grandchildren, but our daughter is here and our son will be traveling from Germany to celebrate Christmas with us. Not traveling for Christmas…just got a new grandson to stay home with! I’m making lots of presents, though…including receiving blankets and gloves for little fingers whose nails are too fine to trim. Also making lots of time for his big brother so he won’t feel left out. Not traveling this year. Children and grandchildren coming to our house. Sewing some gifts for the grandkids on my Bernina 1630. I love this machine, it is 20 years old but still sewing perfectly. All of my children live far away so I’ve been very busy making them beautiful gifts on my new Bernina! My favorite movie is “It’s a wonderful life”! No, the kids come here! I’ll be visiting family & taking home sewn gifts! Traveling to my daughter’s family. I’m sewing like crazy on my Bernina to get the gifts done. Would love that tote. I am traveling to Denver for Christmas to meet my sister who lives in England. She will be staying with my mother in who lives in Denver. I am busy making scarves for my nieces and a yoga mat carrier for my sister. We always travel from SC to Texas to be with the kids and grandkids. My 2 Berninas have been kept busy making bags for the girls and charity quilts for nursing homes here. I see a new Bernina in my future! I love to sew for my grandchildren! We are staying home this Christmas and celebrating this event with our families and grandchildren. We hang a grapevine wreath covered with home made ornaments and jingle bells. Traveling from NYS to FL from 12/19 to 1/6 to spend time with my 86 year old Mother……can’t wait to get out of the snow and cold and see the warm sun. Staying home for Christmas. Sewing last minute gifts. I hope that everyone, whether traveling of staying home, will have a wonderful holiday! Thank you Bernina and We All Sew, it is so nice to be able to get even more inspirations from this wonderful site. This is my favorite time of year to stay inside and sew! We’re staying home for Christmas. We are driving 4 hours across Colorado to celebrate Christmas with our children and grandson. Hope we can make it through those high mountain passes! Will travel to the DFW area if my Uncle (Age 86) needs me for health reasons; otherwise, I am going to stay home and enjoy my Bernina 880. Although it should be noted, if I do go to the DFW area, I’ll take my baby with me and do some sewing there!!!! This year my family will be staying home for Christmas. No traveling for us thisa holiday. We are off work & I’m hoping to spend lots of time quilting and doing machine embroidery on my Babylock Sofia, so it will prepare me for getting my Bernina 770 in the spring. Practice makes perfect. And I love my Bernina Activa for all my quilting and regular sewing. Also may get to do some serging on my Bernina serger! I try to do some sewing every day, but at least get some done each week! I am traveling to the cabin for the holidays, a very Minnesotan thing to do. When I bought my new Bernina my old non-Bernina became my cabin machine. I will miss the Bernina while there. No travel. I’m waiting for my first ever Bernina to be delivered, so I can always sew, sew, sew. No, I won’t be traveling for the holidays. I just got back from visiting my oldest son and his family and my other 2 children live here with me. I celebrate Christmas with my local church family. Our Christmas program is this Sunday evening at 6:30 pm in Mikado, MI. I like to sew everyday, it makes my day a lot better. Love helping my girls with sewing projects. Sewing is just the best. Looking forward to a quiet Christmas at home with my husband after all the hustle and bustle. No traveling, our families are all nearby. Just getting together and enjoying great food & good converstations!! Everyone stay warm & healthy. Traveling to Pensacola! About 10 hour drive but worth it. First Christmas without my mom so not making the yearly Christmas trip to Ohio. Plan to get plenty of sewing on my Bernina done though ? Going to Grandmother’s home. She is 92 as of December 12, 2016. Simply family meal with few friends & family. Just travelled across the country to see the 3 younger grandchildren, and of course their parents, and will celebrate with the older grandchild and his mother who live near us. Just finished a crib quilt for a neighbor who will deliver any time now – maybe Christmas Eve! I’m staying home, my local family is coming here. With a large family it would be hard to decide who to go visit. Going to my sister’s house on Christmas eve, my brother’s house Christmas day afternoon and finally back to my home Christmas night. Merry Christmas and Happy New Year to all! Traveling up north in Michigan, bringing the Bernina incase we get snowed in! Spent the last 2 days with my machine sewing, sewing, sewing. I’m traveling downstairs to be with my granddaughter, son and daughter-in-law for Christmas! I’m so lucky to own a duplex and have them living down stairs! Thank you for such a generous giveaway! Happy Holidays! No traveling this year. Everyone is complaining no to me this year. Won’t have to much time to sew. Going to start my new year sewing with friends though. I can hardly wait. Favorite designer is Kaffe Fassett as there are so many bright colors. Not traveling this year. Plan on having a very Merry Christmas at home this year! Going to make tamales with my mom first time ever. All of my berninas from the past are getting spiffed up as a Christmas present from my husband. A Bernett sewing machine, a bernette serger and my trusty Bernina 1700 from the 80’s. I am not going out of town. I’m having all my children, grandchildren, great-grand children here. I’ve been in my sewing room for days making Christmas gifts. I love giving hand-made gifts with my Bernina 580. No traveling, we are lucky enough to have family local and close. I love the colors and designs of Kaffe Fassett and the simplicity of Riley Blake and a batik always temps me. My stash is filled with many fabrics from various designers and I love them all. Beautiful Bernina 215 Machine. Would be fun to sew on! I absolutely love Kaffe Fassett fabric….years ago I met him through knitting, so headed to the fabric store to find his fabric….no one knew his name….now we all love his designs! We plan to be home for Christmas, but we went to our daughter’s home for Thanksgiving as she was close to having a baby. I did sew a baby blanket and hat for the new boy, and Christmas skirts for my daughters and their dolls on my 20+ year old Bernina 1030. I’m sold on the Bernina sewing machines and recommend them to anyone looking for a sewing machine. My daughters love the features of the Bernina – especially the No. 10 foot — not sure what foot it would be now-a-days. I agree: nothing sews like a Bernina! My sewing room is my dining room, I have command hooks on the closet doors to hold all of my rulers. I have small plastic trays from Dollar Tree to keep my spools of threads organized next to my machine.I also have a tall 7 drawer cabinet with the drawers labeled that stores my embroidery threads and small sewing supplies. but the key is to put things back where they belong when done. We are not traveling anywhere for the holidays this year but we are hoping that our children will be traveling home for the holidays! I don’t usually make garments but I do make holiday table toppers and placemats! I’m going to my sisters for Thanksgiving. I plan on Christmas Eve with my children and Christmas day is at my brothers house I have two litters of puppies so I’m not going very far! They go to their new homes right after Christmas! No, traveling to Texas in January to avoid the Holiday rush. No, staying home to enjoy the fire. So cute! Definitely making for my red lab named Buddy! Most of family is traveling here,(Tucson) leaving me more time to work on my Bernina to finish their gifts. We will be staying home for Christmas Day with one of our sons and his family, but taking day trips with them to have celebrations with my 90 year old mother and our other son and his family, topping it off with 4 of our grandchildren visiting until New Year’s and our annual New Year’s Eve party with them. Traveling to Disney World before the holidays.. by the time we get back the holidays will be here. We will be at home for Christmas so I will be volunteering at Christmas Eve services. We shall be entertaining a young cousin who’s a new nurse, as she’s far from her family. I have seen many gifts this holiday season but dread when my Bernina 880 needs to go in for service. It would be wonderful to have a back up machine.